Dr. Iyad Saidi, Dr. Ravi Swamy and Dr. Courtney Raizman are honored to be included in the Washingtonian Top Doctor Class of 2018. University for medical school and residency. She has special interest in taking care of pediatric patients with ENT related issues. Our doctors have worked diligently to build a practice predicated on exceeding each patient’s expectations by providing personalized and compassionate care. They are committed to providing the best possible results while treating each patient with the utmost respect, attentiveness, and dignity. The practice offers state of the art procedures and a wide range of services including sinus care, allergy, audiology, snoring, sleep disorders and facial cosmetic services. We understand the needs of our patients and work hard to make sure that we are available to see them on short notice. 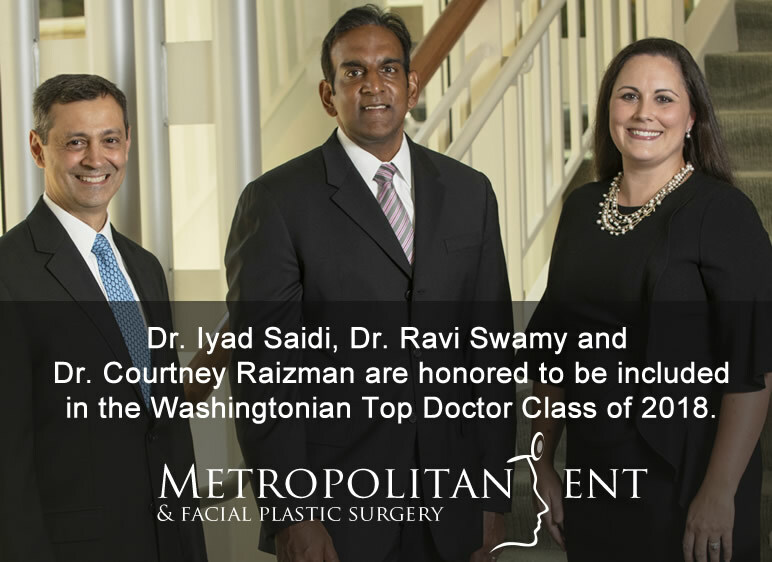 Metropolitan ENT & Facial Plastic Surgery Dr. Ravi Swamy and Dr. Courtney Raizman are honored to be included in the Washingtonian Top Doctor Class of 2017. 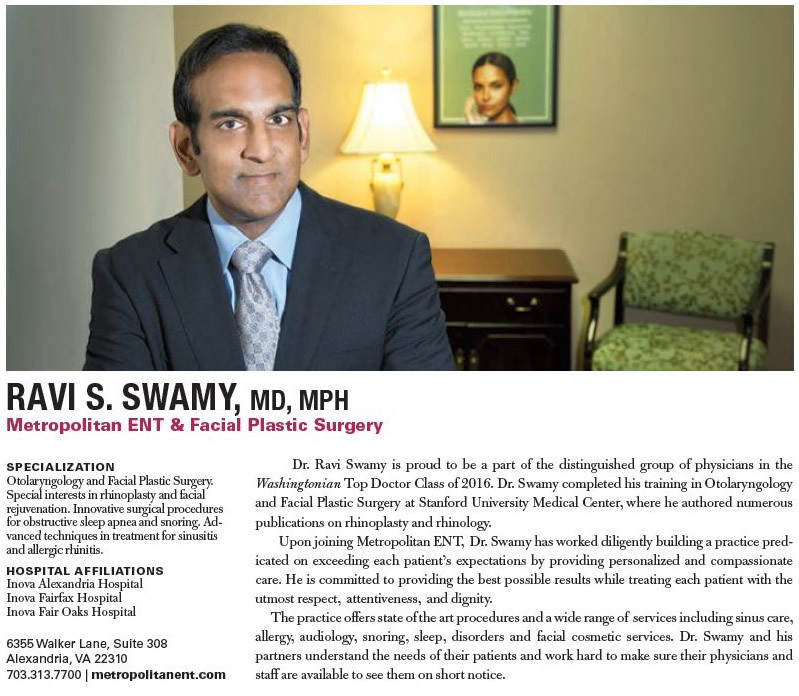 Dr. Swamy completed his training in Otolaryngology and Facial Plastic Surgery at Stanford University, where he authored numerous publications on rhinoplasty and rhinology. Dr. Raizman attended Georgetown University for medical school and residency. She has special interest in taking care of pediatric patients with ENT related issues. 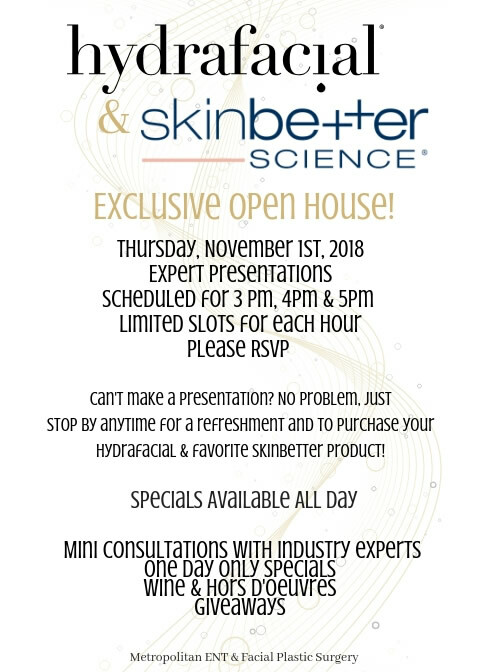 Upon joining Metropolitan ENT, Drs. 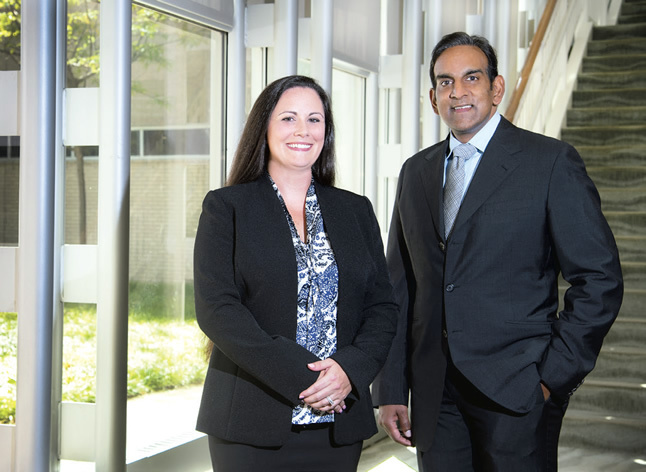 Swamy and Raizman have worked diligently to build a practice predicated on exceeding each patient’s expectations by providing personalized and compassionate care. They are committed to providing the best possible results while treating each patient with the utmost respect, attentiveness, and dignity. The practice offers state of the art procedures and a wide range of services including sinus care, allergy, audiology, snoring, sleep disorders and facial cosmetic services. Dr. Swamy, Dr. Raizman and their partners understand the needs of their patients and work hard to make sure their physicians and staff are available to see them on short notice. New Mini Hearing Aid Technology - Call for a complimentary hearing aid consultation. Dr. Swamy Washingtonian Top Doctors 2016! 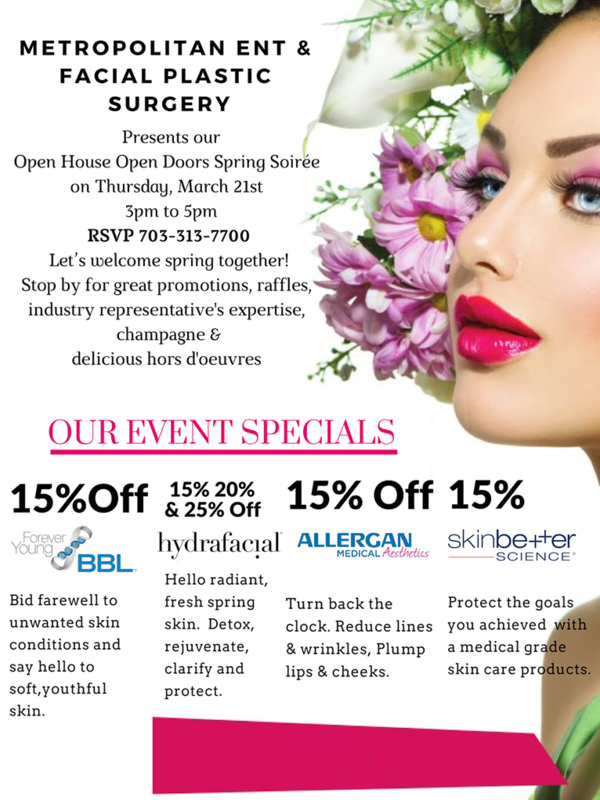 Metropolitan ENT and Facial Plastic Surgery is one of the remier practices in the suburban Washington DC area specializing in Otolaryngology (Ear, Nose, and Throat) conditions as offering a wide range of laser, minimally invasive and surgical cosmetic services. Dr. Saidi has been both a very compassionate ENT physician, and an active medical innovator, in the Washington DC Metropolitan area for 15 years. He has several patents issued to him, and has been the physician for the Washington Opera. 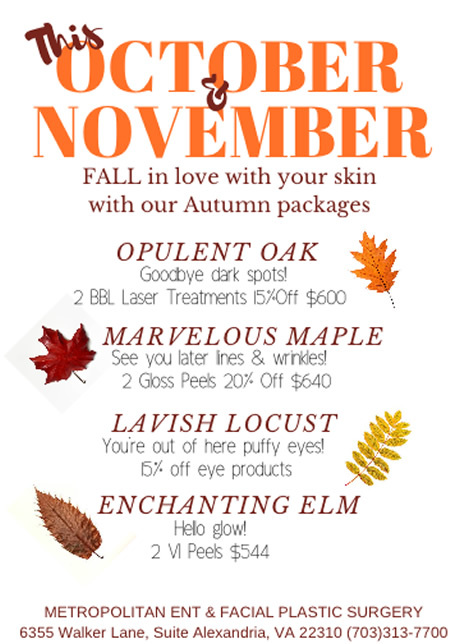 Dr. Saidi is currently the director of the Metropolitan ENT Laser Center.